Through AXA Advisors, AXA's network and our team of Prestige Financial Group, I have the resources and knowlege to help you develop and implement an effecient and sound financial strategy. 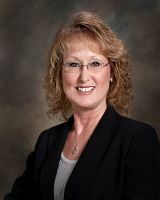 Jerri W Batts has earned the Retirement Planning Specialist (RPS) title. The Retirement Planning Specialist title is awarded by AXA Advisors, based upon the Financial Professional's (FP) receipt of a Certificate in Retirement Planning from the Wharton School, University of Pennsylvania. In a collaboration between the Wharton School and AXA Advisors' affiliate, AXA Equitable Life Insurance Company (NY, NY), coursework for the certificate was developed exclusively for AXA Advisors FPs, and the title may be used only by FPs who have completed the required coursework and maintain the title through ongoing continuing education requirements. To verify that an FP has earned and holds the title in good standing, contact AXA Equitable atretirement@axa-equitable.com. Complaints about an AXA Advisors FP should be directed to customer.relations@axa-equitable.com.